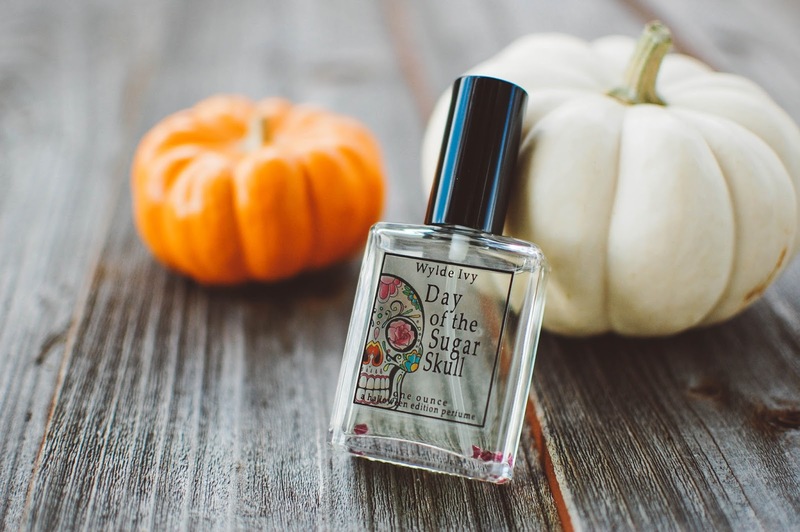 My friend Julie Ann Marie turned me towards Wylde Ivy and this particular scent she and Angel were gushing over... Day of the Sugar Skull. I know both those ladies have great taste so I popped right over to Wydle Ivy as soon as it released in the Fall/Halloween offerings and grabbed a bottle. 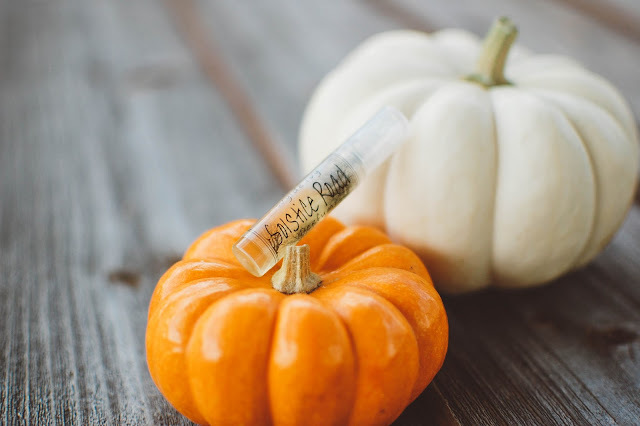 My friend Julie Ann Marie is friends with the owner of Wylde Ivy and snuck in a ton of perfume samples, soap samples and a lip balm in for me as a gift. I could not believe my eyes when the box arrived! 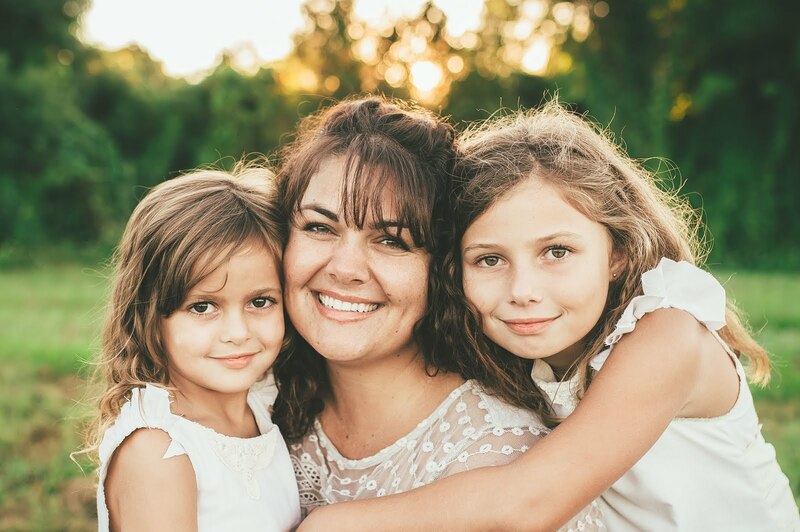 Thank you, Julie Ann Marie! My Wydle Ivy reviews will be broken down into three parts so I can spend a good amount of time with each scent. First up! My full (1 ounce) bottle of Day of the Sugar Skull that I originally purchased for $23. Day of the Sugar Skull- Notes: Sinisterly sweet, warm and sultry. Notes of smoked vanilla pods splashed with bourbon, amber resin smothered with caramelized sugar, pomegranate soaked orchid petals and spicy pink peppercorns all wrapped in a thin veil of delicate musk. The top notes sparkle and shimmer like fuchsia droplets of pomegranate crystals on a towering cloud of pink cotton candy held by an impish pixie at a faerie carnival. The bobbing confection weaves through the glittering gossamer wings and wispy swirls of smoke offerings to eventually settle on a blonde wood log to be munched and savored by the pixie in delicate nibbles and licks. A golden amber musk drifts in with the setting sun and shimmers like dancing fireflies over the revelries. The deep drydown is all about those vanilla pods, boozy and plush. I love how playful and innocent, yet warm and inviting this scent is on my skin. It is a sugar coated amber musk dream. I think this one will be a crowd pleaser. The sillage is moderate and the longevity is about 4-5 hours. Soap slivers in Little Shop in Salem and Raven. Little Shop in Salem is a wonderfully earthy incense fragrance that smells like high quality Nag Champa. Of course I love it. Raven is everything. And I am not just saying that because it is called Raven... but that obviously helps. Without going into too much detail, Raven is a polished woods, vetiver and black pepper blend that smolders and winks at you. Easily unisex and Whoooooooa Mama. Both of these soaps are in perfume fragrances that I have on hand and will feature in later posts so I am keeping the scent descriptions short. I am enjoying the highly scented nature of these soaps. No generic soap base smell undertone and the scent is strong and true. They lather nicely for me with some friction and leave no lingering residues or tightness after rinsing. All in all a great soap that I would not hesitate to buy a full bar of in the future. In general, a bar is between 3.5 and 4 ounces and runs $6. Little Shop in Salem is on sale at the time of publishing. 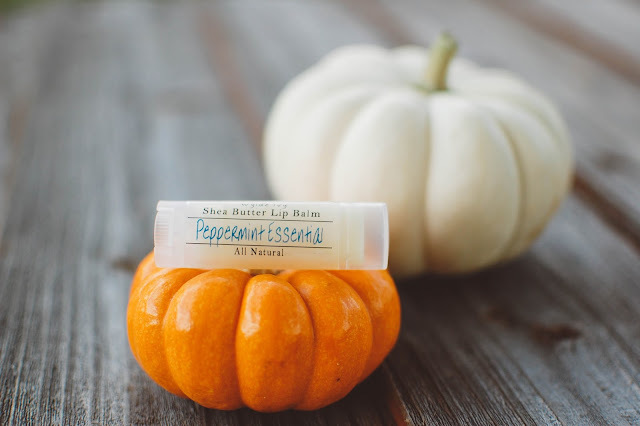 This all natural lip balm in Peppermint Essential is pretty awesome. I love my minty lip balms with a passion and this ticks all the boxes for me: crisp and cool on the lips, plush and moisturizing, nice slip and even the teeniest hint of moist sheen so my lips look hydrated but not glossy. At $4 each I will be grabbing a few more. Ginger Mint, Sugared Mint and Vanilla Kiss all appeal to me though there are some fruity and non scented/flavored options too. Solstice Road- Notes: Ancient amber and woody vanilla, sweetened with a touch of black molasses, myrrh and just a hint of dried pumpkin infused with cardamom and clove. Cardamom peppered pumpkin flesh emerges in the top notes, toasted and softly warm with clove. This is baking homemade pumpkin pies, apron on and dusted with flour from rolling out pie crusts and stray curls escaping the wild knot of hair perched on top of the head. Pink cheeks puff out a breath to move one of those errant tendrils. The crook of the arm cradles a large plain mixing bowl filled with pumpkin puree, aromatically spiced and sweetened with sticky dark brown sugar. Mixing it up with a wooden spoon sends the comforting fall aroma throughout the home and lures its inhabitants out from their dens to see what is afoot. The heart of Solstice Road rises full of this sweet dark pumpkin scent. As it dries down the base only gets richer with the darkness of the blackstrap molasses that makes up the brown sugar with a touch of that woody vanilla and sepia amber. The myrrh breathes of woods and mystery around the edges. This is an autumnal beauty, a pumpkin woods gourmand. Not overly spicy or fiery at all, more on the snug and comforting spectrum. Dark November- Notes: Smoked vanilla pods, dried tobacco leaves, apple peels, pink peppercorns, dried grass, black currants, spiced woods, baked ginger, caramelized sugar and clove. The zest of those pink peppercorns tickles the nose immediately, followed by sugared ginger and a tart currant or two. These ephemeral top notes lift up off the skin and into the sky like curled leaves in flight. The heart of Dark November lies like a sweet dried apple in a bed of crinkled tobacco leaves, studded with the wooden flower buds of clove, hidden in a rusty kitchen tin, mementos from gatherings of the past now sweetening the present. A smooth vanilla woods drydown completes the experience and makes me yearn for more. Autumn's Twilight- Notes: Dried tobacco leaves, white amber, fresh clove and cinnamon sticks with a touch of pomegranate seeds and mulled wine. Sweet, deep, dark and lush. Take the best vintage port, full bodied and nectarous, and combine it with homemade mulled hot apple cider to make an autumnal sangria and that will curl the toes and warm the cockles. A sweet vanilla pipe tobacco adds a chewy richness but never disturbs the warm mug of mulled wine nestled in the hands, but only enhances it. Good grief. I am smitten. I will be buying this in a full size, no doubt. Rare Moon- Notes: Delicate vanilla essence, sugared amber musk, dark vetiver, juiced plums and white orchid. Grassy vetiver emerges first, the moon shining full and citrine bright on a meadow in the countryside. Small white flowers gleam like so many fallen stars... a reflection of the sky above. A balmy breeze rustles the grasses with vanilla resin and settles into a still crystalline night, gilded in topaz moonlight. 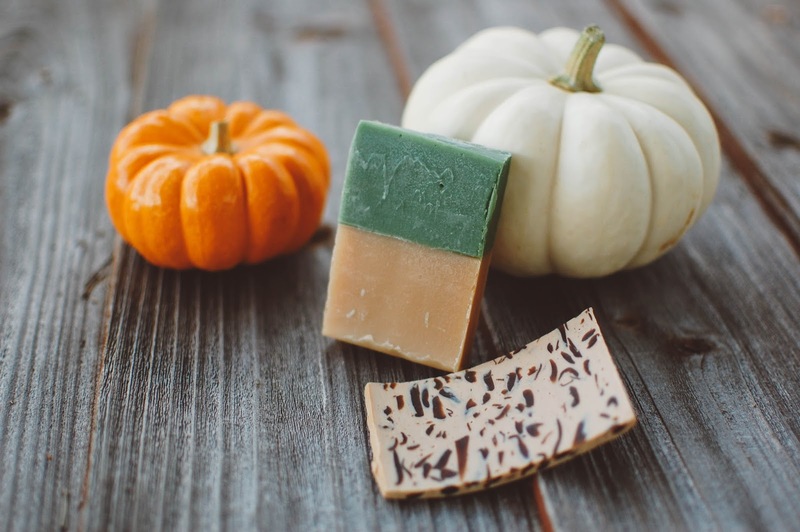 This fresh leaning vanilla amber holds some earthy hay tones and glows softly on the skin. Very pretty. I am loving these perfumes from Wylde Ivy. I look forward to wearing and sampling the rest. Do you have any Wylde Ivy favorites? Please share! Gosh, I haven't thought about Wylde Ivy in forever! 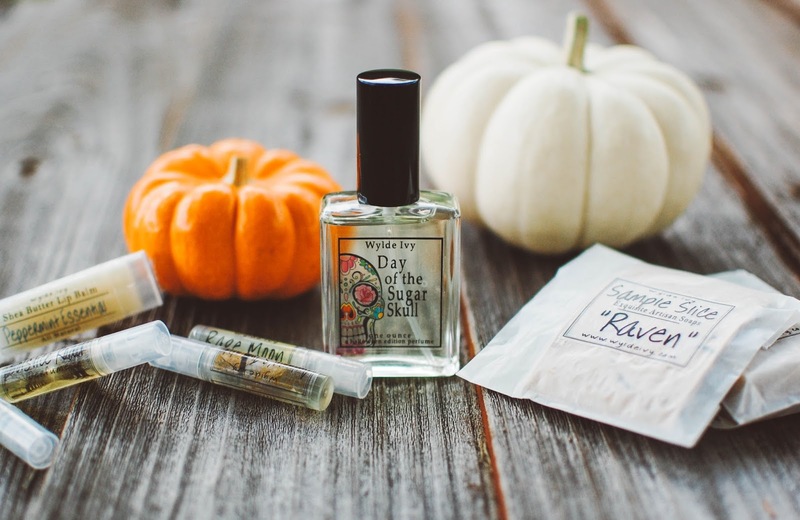 Her soap is great, and I still have some of her wax melts stashed away somewhere--loooove Pumpkin Masquerade. She uses palm wax, which I liked because it slid right out of the warmer without leaving any residue. Wylde Ivy wax melts you say? How cool! I will be crossing my fingers she decides to dabble in those again. You just never know. I remember Tiggy did them several years ago then stopped then recently brought them back. <3 I am finding I am loving WI soap too. Very fragrant and nice. 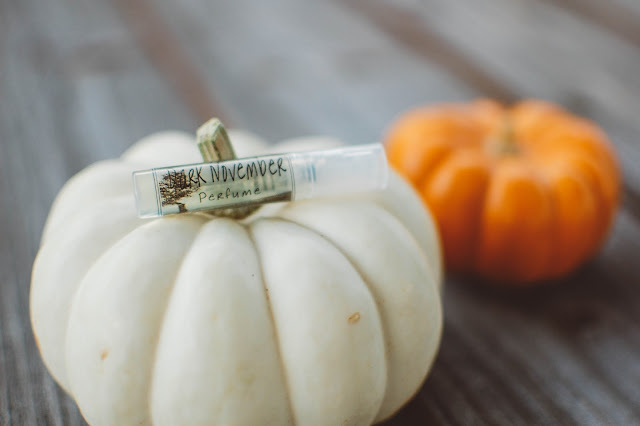 I am SO HAPPY you mentioned Pumpkin Masquerade because it is the scent of the month right now and I was debating on trying it. You sealed the deal for me. I hope you are doing well and your October is off to a good start. 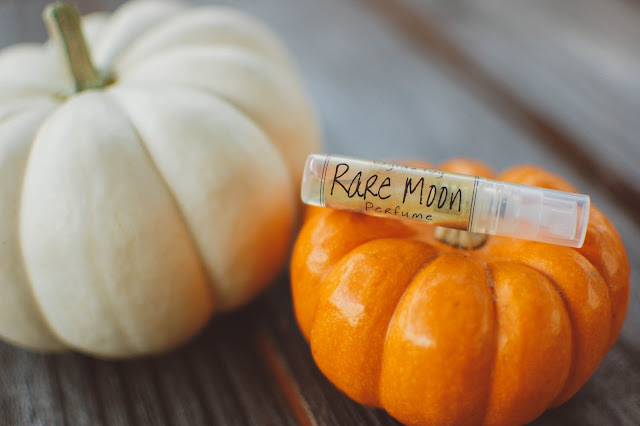 Your description of Autumn Twilight and Rare Moon got me asking myself, do I need a perfume that warms my cockles? Who doesn't? Another vendor to add to the list, that sugar skull label is so cool! I seriously am crushing on Autumn Twilight pretty hard right now. A full bottle will be purchased by the time the night closes in. Now I will have that song stuck in my head. I like the labels too. Very unique and pretty. Ginger Mint? Sugar Mint? ALL that yummy mint!! And autumn Twilight..just swoon. Though I am not too sure on the tobacco leaf. I am sure all of these are lovely! Enjoy your goodies! SAME! I was going to order right away but then I realized I needed to go ahead and sample the rest to make sure there wasn't something else I wanted to add on. But those minty lip balms will be mine. 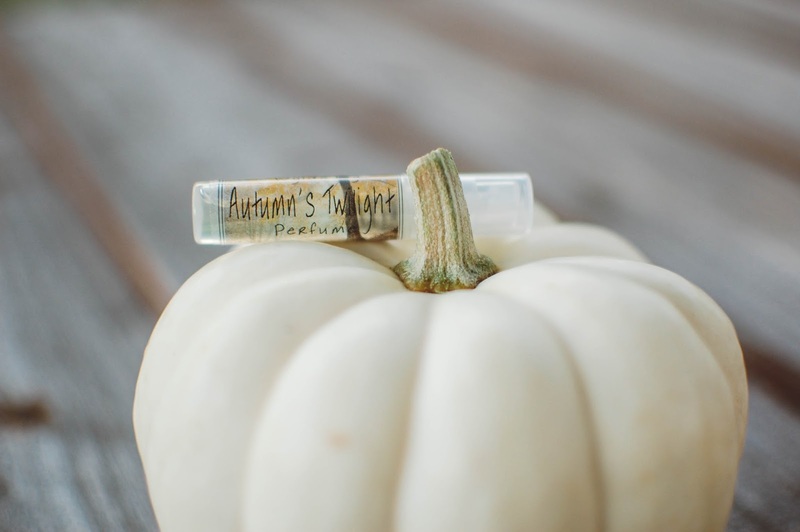 I will send you my sample of Autumn Twilight since I plan on buying the larger size anyway. <3 It will probably go out this weekend.